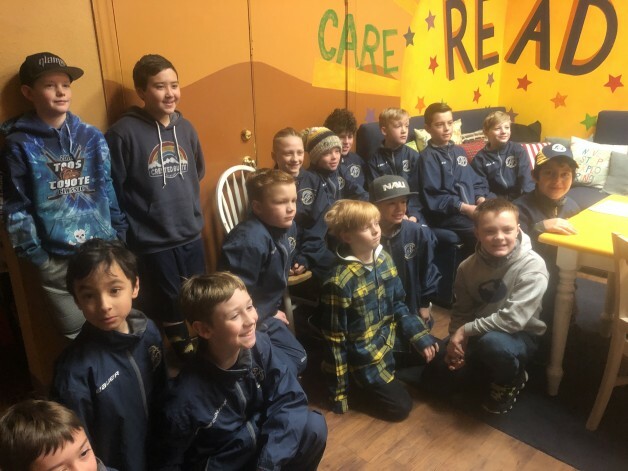 The Flagstaff Youth Hockey Association’s 10U travel program kicked off 2019 with a day spent volunteering at the Flagstaff Family Food Center. Founded in 1991, the Flagstaff Family Food Center feeds an estimated 1,500 individuals every day through a myriad of programs, including its Kitchen Door Sack Lunch Program, Mobile Sack Lunch Program and Free Hot Meal served daily from 4-5:30 p.m.
FYHA volunteers spent two hours at the center with the goal of assembling 200 sandwiches and cutting fresh vegetables for the evening’s dinner. The team went above and beyond, assembling 340 lunch-meat sandwich sack lunches and chopping not only all the vegetables, but also cases of fresh fruit for meal preparation. 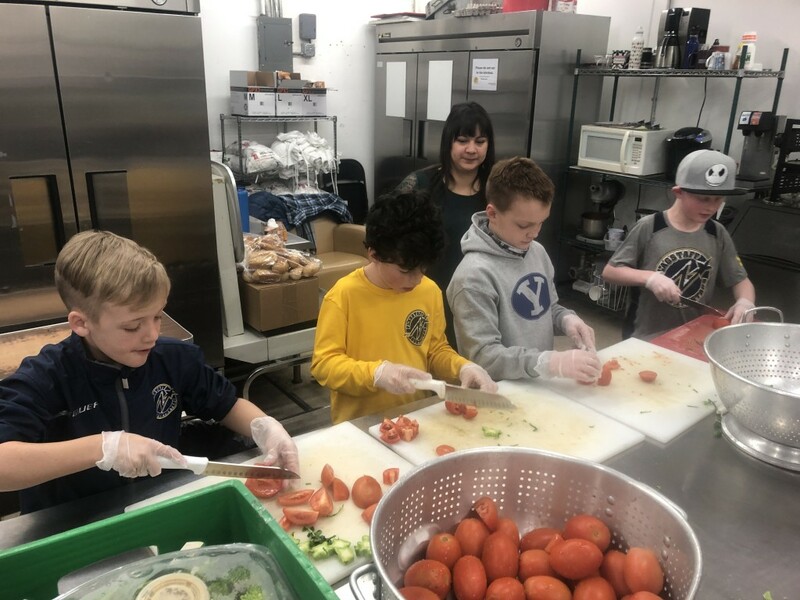 “It was incredible to see these kids work together and choose to spend an off Saturday dedicated to helping members of our community most in need,” said Kyle Palmer, 10U coach and FYHA board member. Tarah Crane, parent of FYHA 10U Major player Treston Crane, organized the volunteer day on behalf of the team. Everyone who attended enjoyed giving back, and several players asked to do it again later this season.